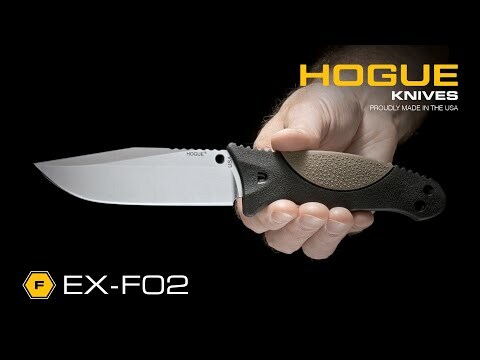 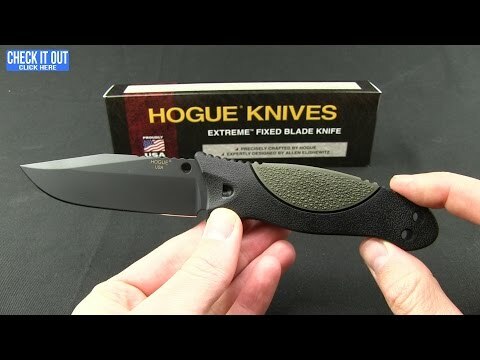 The EX-F02 is a sturdy outdoors fixed blade from Hogue Knives that features a polymer/rubber overmold handle for impressive grip and comfort. 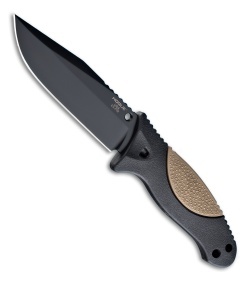 The blade has a notched portion for the thumb on the spine and a finger groove below for the index finger. 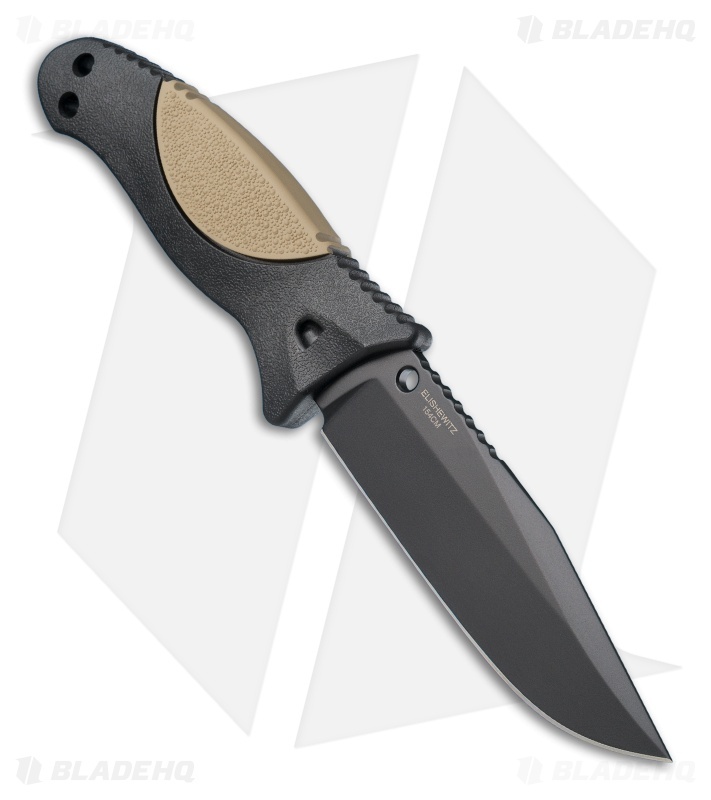 The EX-F02 is available with a Tanto or Clip Point blade both with a KG Gun-Kote finish. 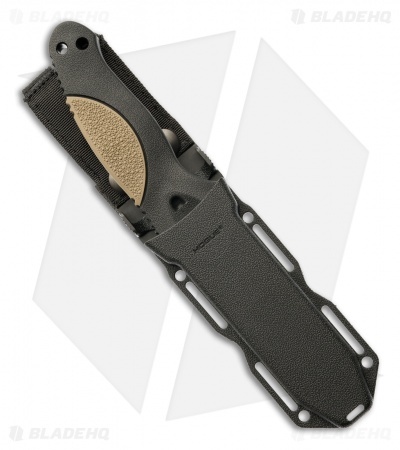 An ambidextrous, secure fitted polymer sheath comes standard and features an automatic retention mechanism. Allen Elishewitz design. This model has a Clip Point blade and a black handle with a Flat Dark Earth rubber overmold.